Home Weather & Clothes: How’s the weather? Weather & Clothes: How’s the weather? Topic: Weather & clothes - How's the weather? 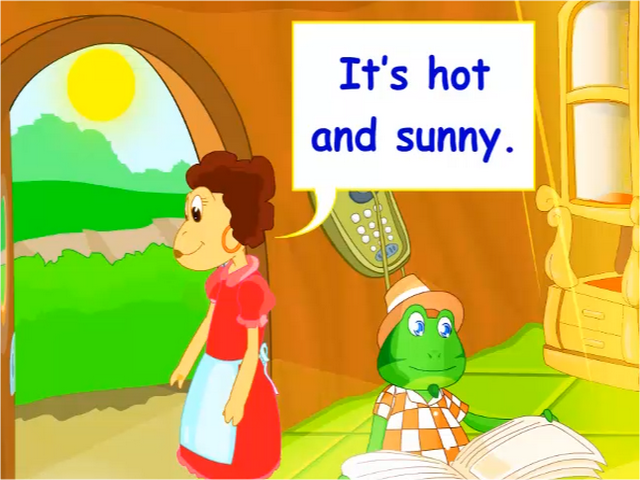 Communication Objectives: Learn to talk about weather conditions and weather clothes in English. Phrasal verbs: This lesson makes use of two phrasal verbs - take off vs. put on. A phrasal verb is a verb that is usually accompanied by a preposition and the meaning is best understood in context. In the context of this weather and clothes lesson, the two phrasal verbs are well illustrated and easy to understand. How's vs. How is: Contractions occur regular in spoken English.